I had a lovely day visiting my daughter at her university town today, and we couldn't resist visiting some of the antique and vintage shops and found some real bargains, and I bought her a beautiful vintage diamanté necklace. 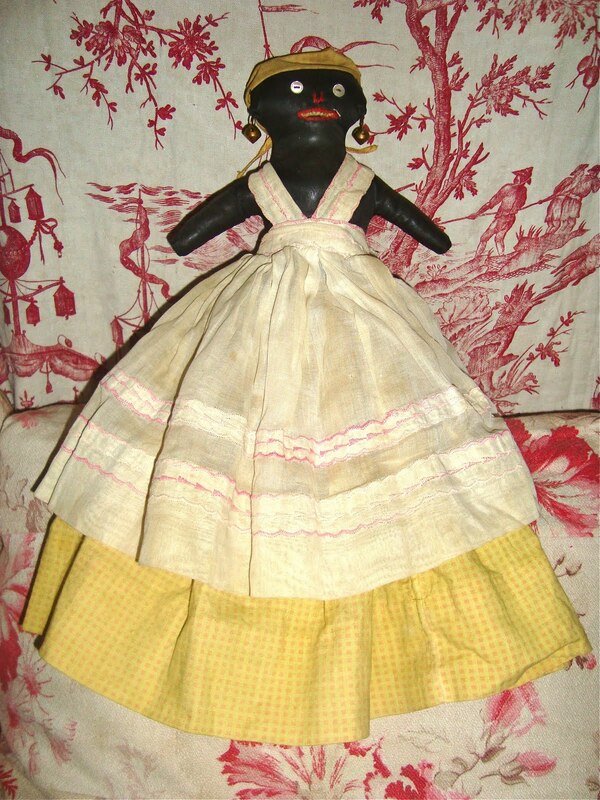 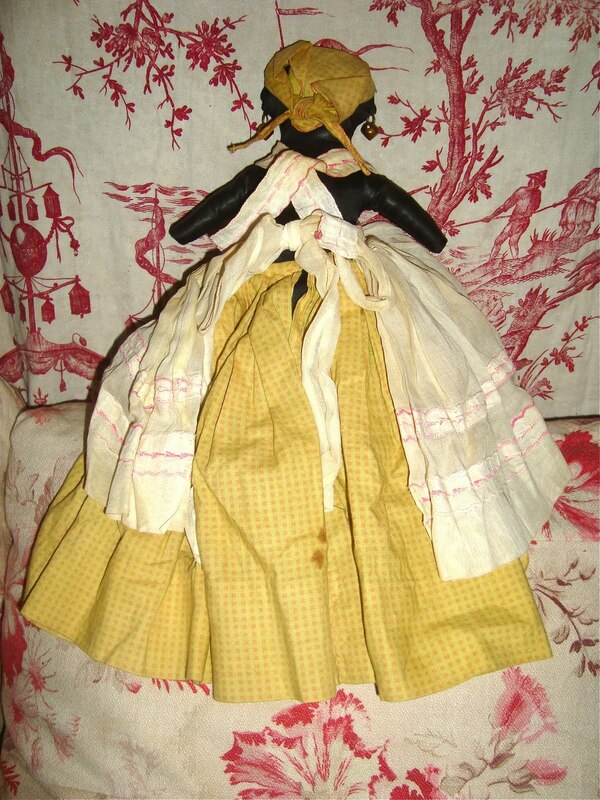 I found some really lovely things for the website and my cabinet in Lewes including a tiny bone doll's fan, a miniature Singer sewing machine, a stunning '20s rag doll, a pretty Victorian silk greeting card, and best of all, the most diaphamous and delicate early 18th century black paisley silk gauze shawl. I think I need to visit her more often! 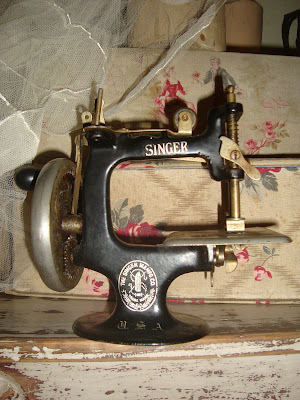 What a sweet little sewing machine and the shawl is fantastic....great finds....you will have to go back! It is one of my favourite little shops to visit, a real treasure trove, just off the beaten track!